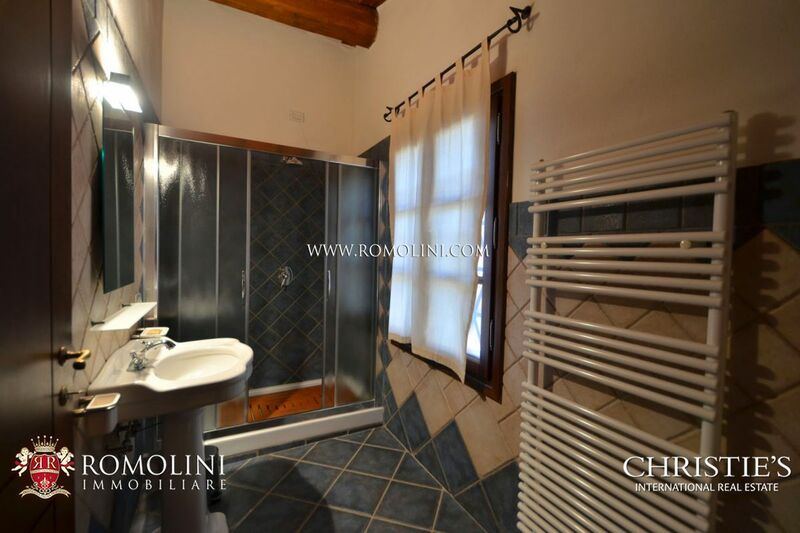 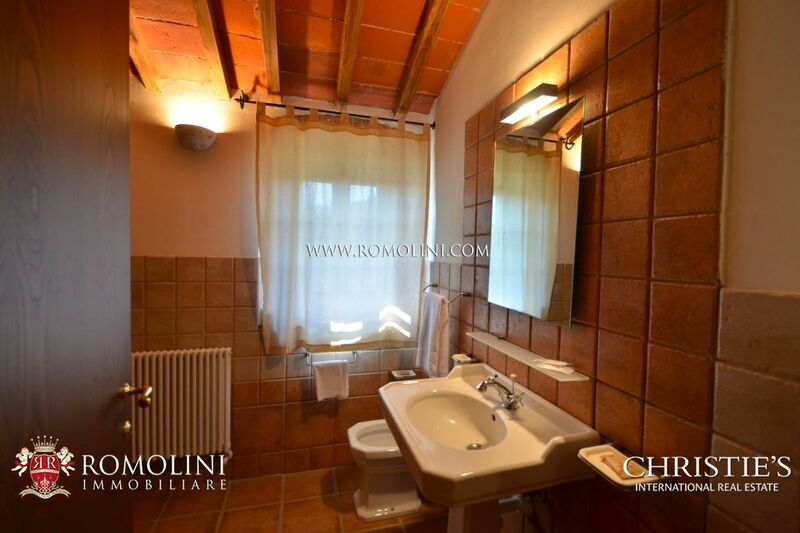 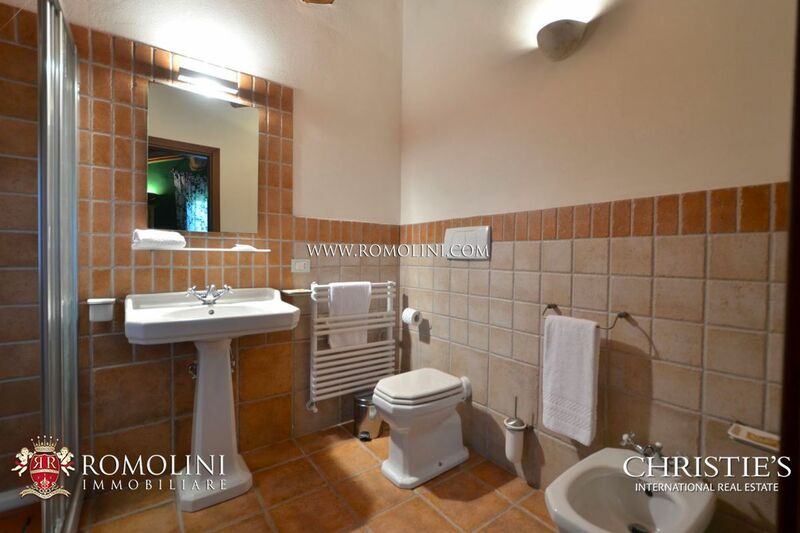 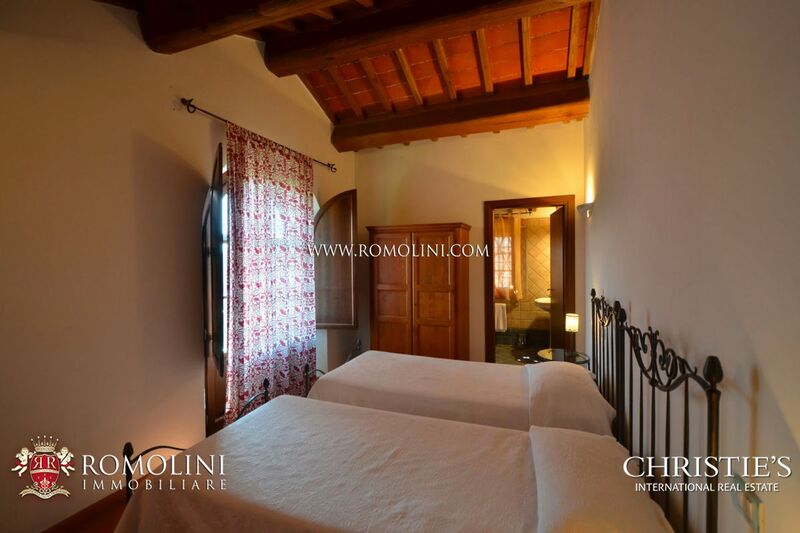 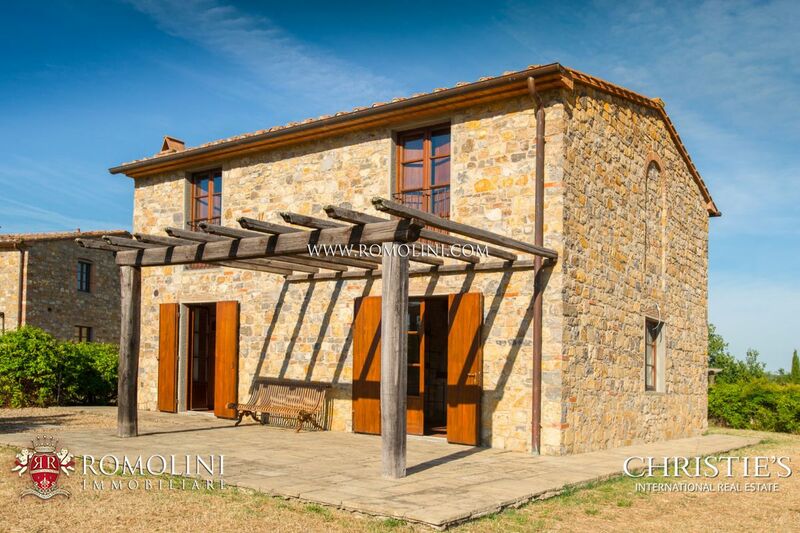 In the province of Arezzo, between the Valdarno and the Chianti Hills, this beautiful Agriturismo obtained from a historical 430 sqm farmhouse is perfect for whoever is looking for a well-started hosting activity. 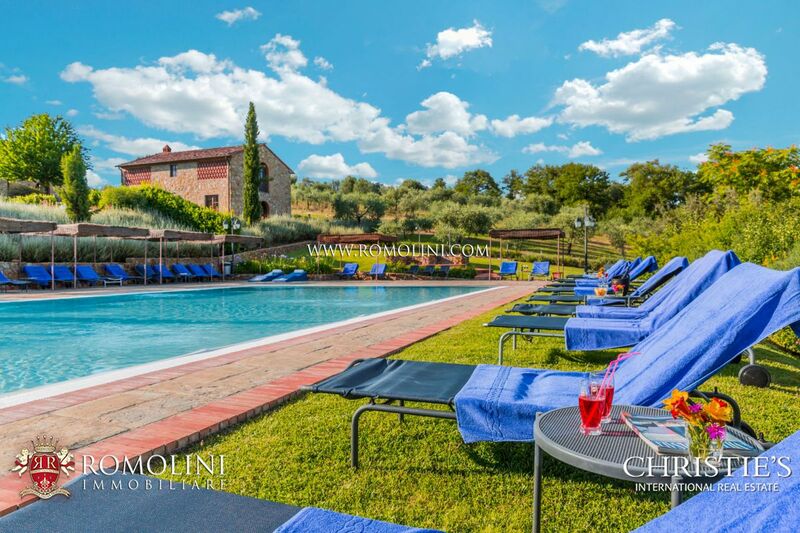 With 11 total bedrooms, the Agriturismo can host up to 20 people who will find every possible comfort, among which a beautiful pool. 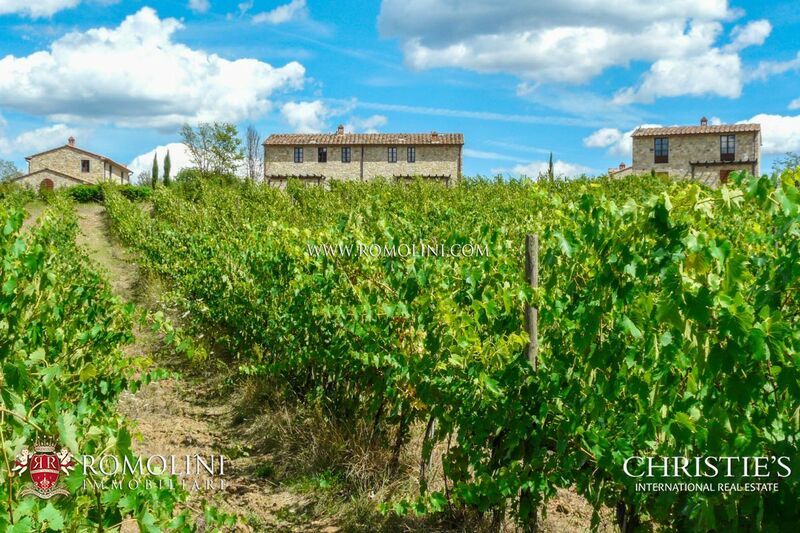 The organic olive grove currently grants a yearly production of 1,100 liters of extra virgin oil. 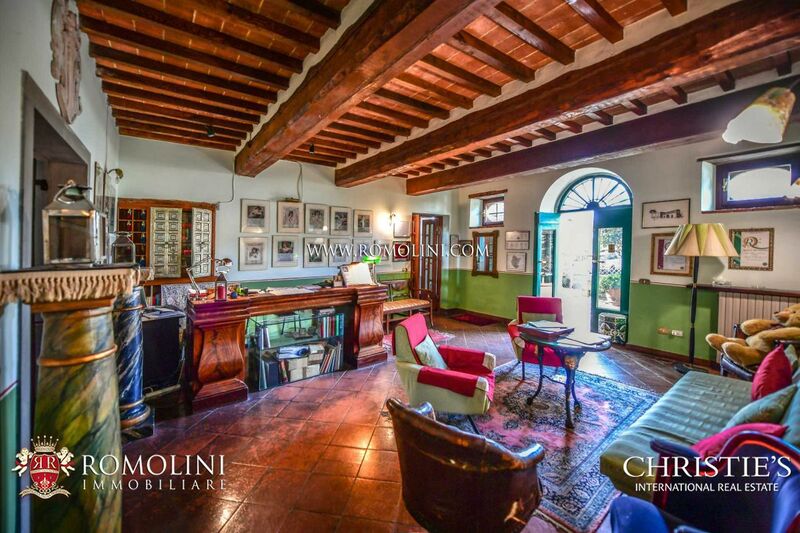 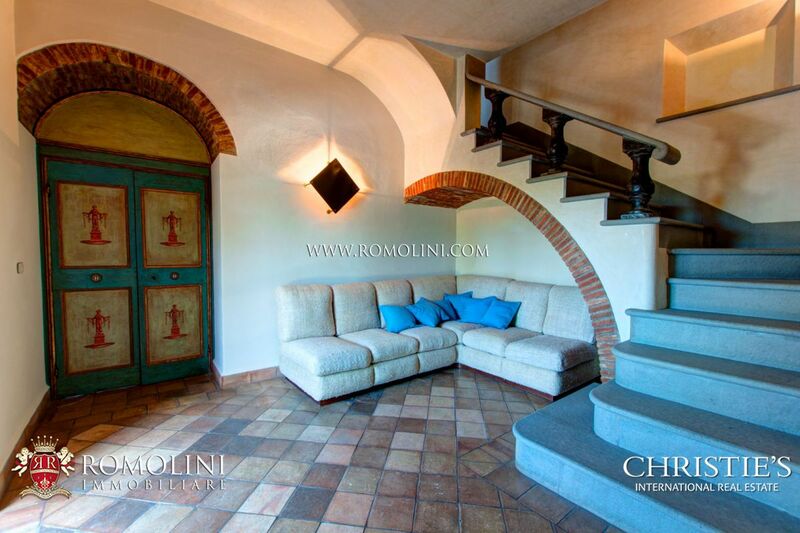 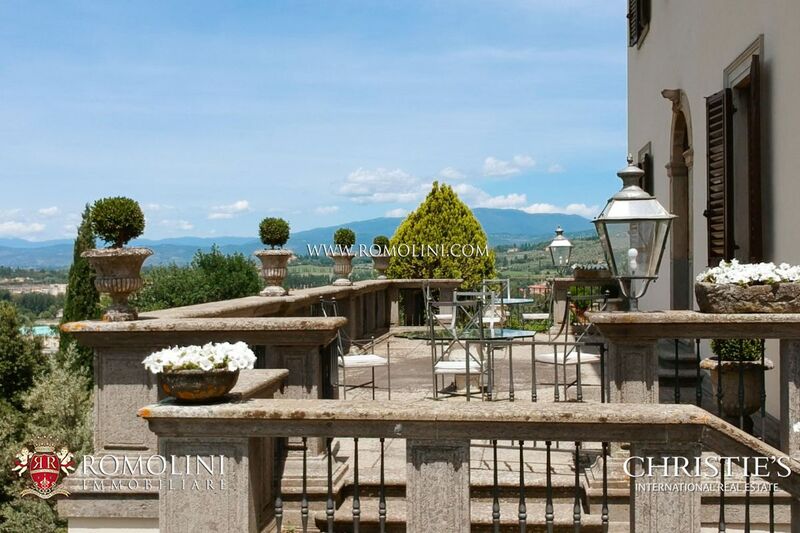 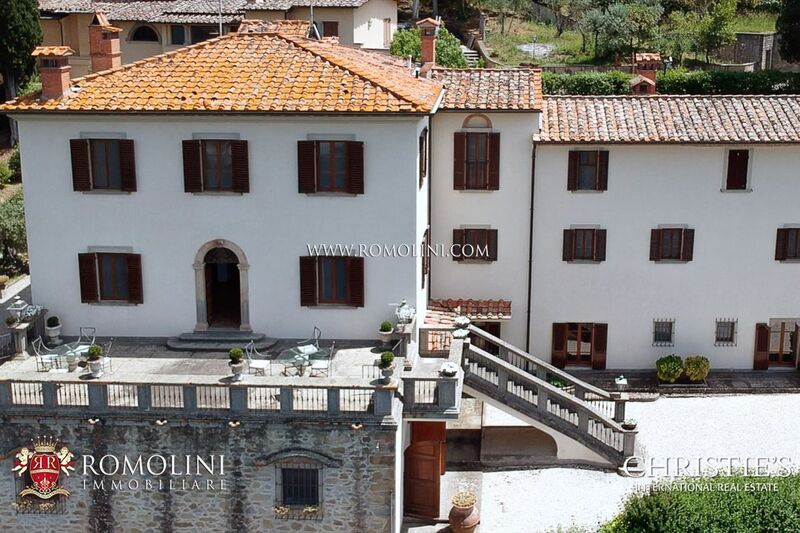 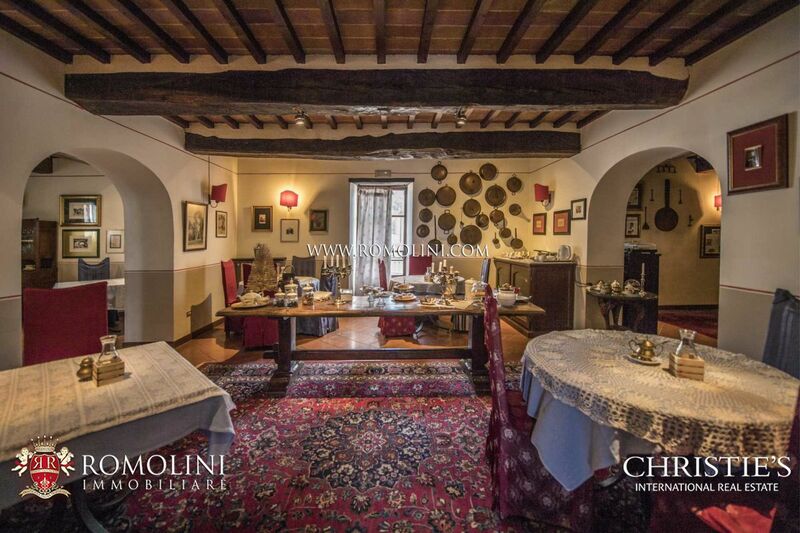 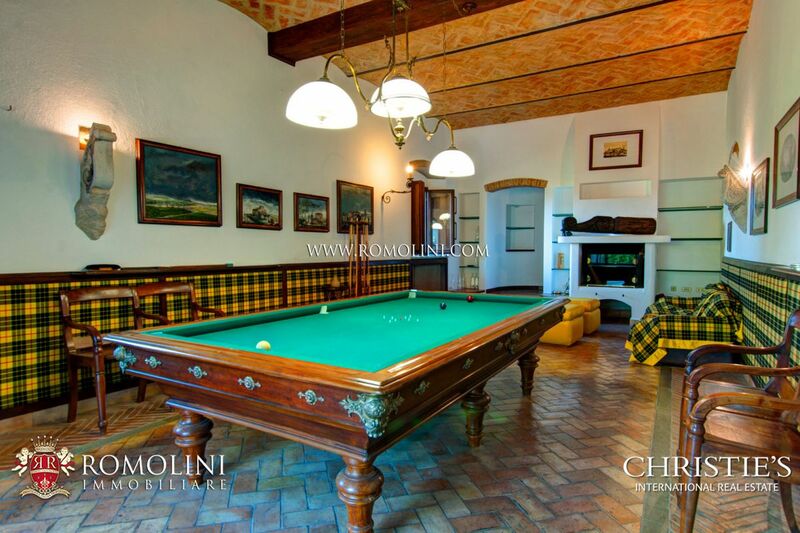 Not far from a renowned town of Valdarno, this property is made up of a Tuscan manor with guest house. 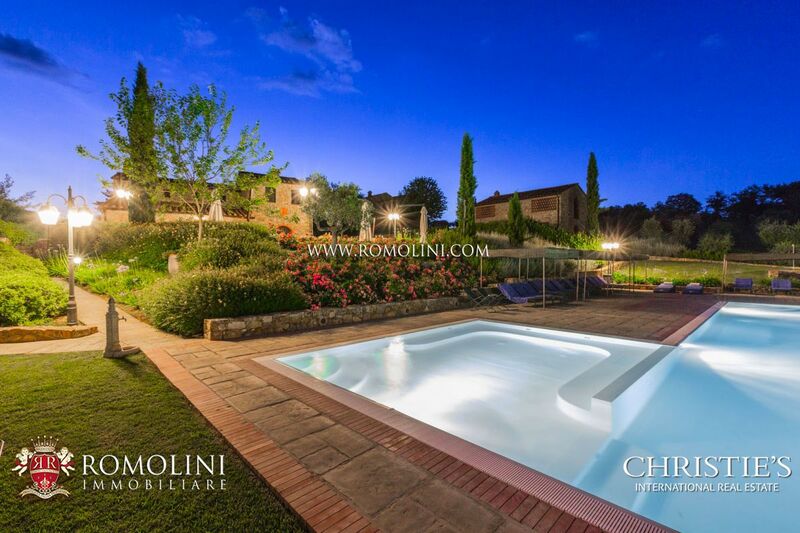 With a total surface of 445 sqm, the property offers up to 8 bedrooms and a well-cared garden with an 8 x 4 m swimming pool. 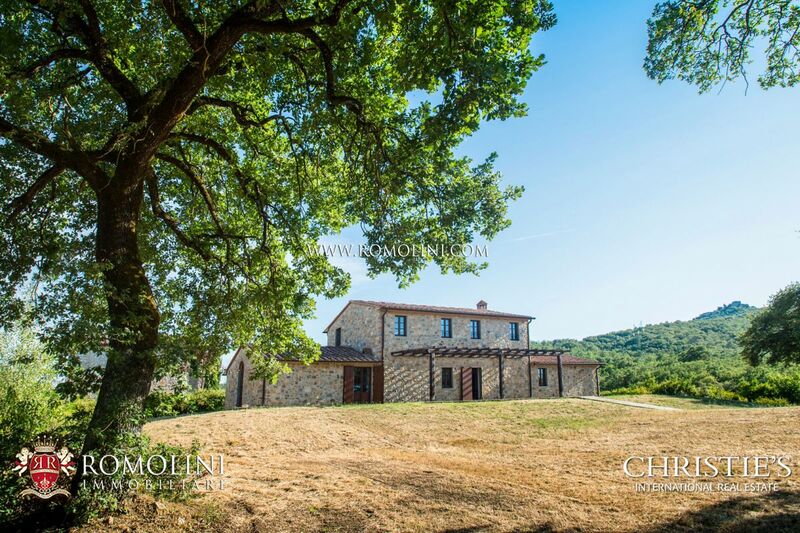 The land, roughly 1.2 hectares in total, is covered by woodland, fruit orchard and olive grove. 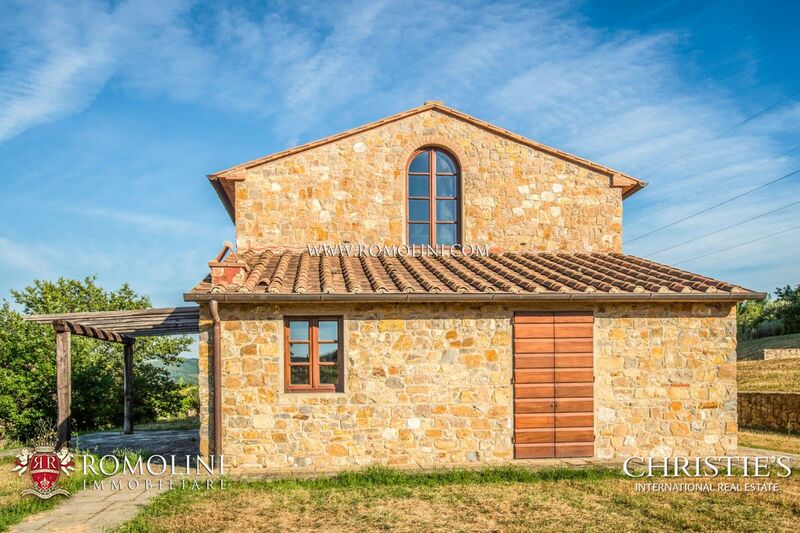 The villa is currently run as an accommodation business (holiday home) and is very close to many notable centers of Tuscany. 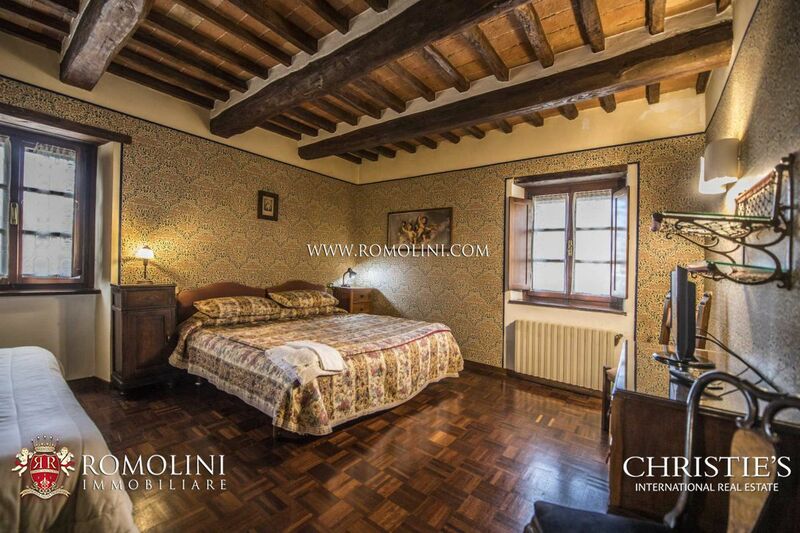 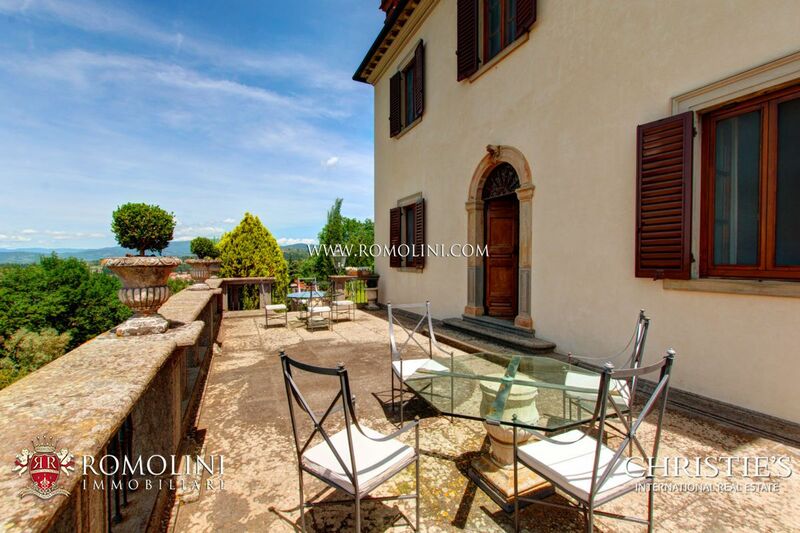 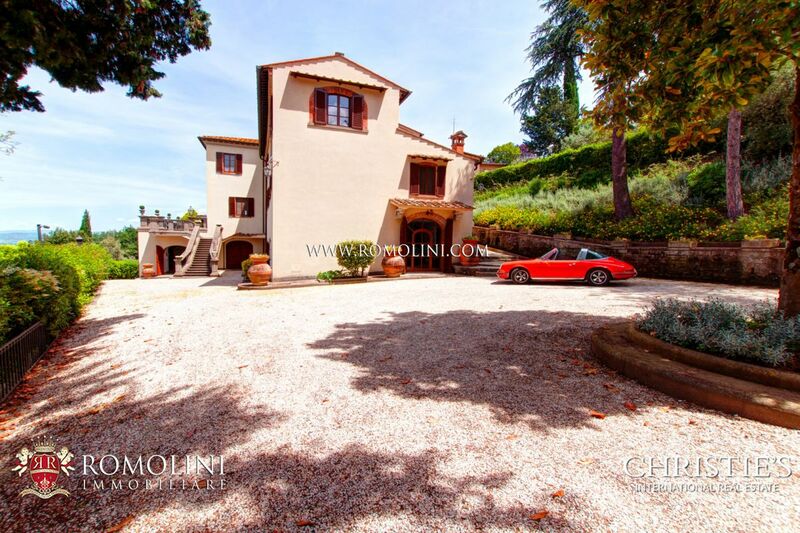 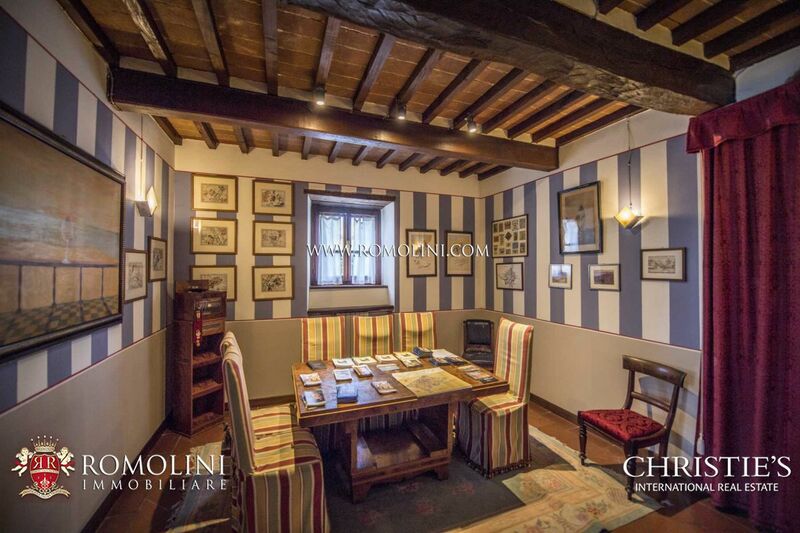 In panoramic position with direct view over the historic centre of Arezzo, this beautiful 900-sqm manor house is perfect for anyone looking for a luxury residence in a quiet and highly-sought area. 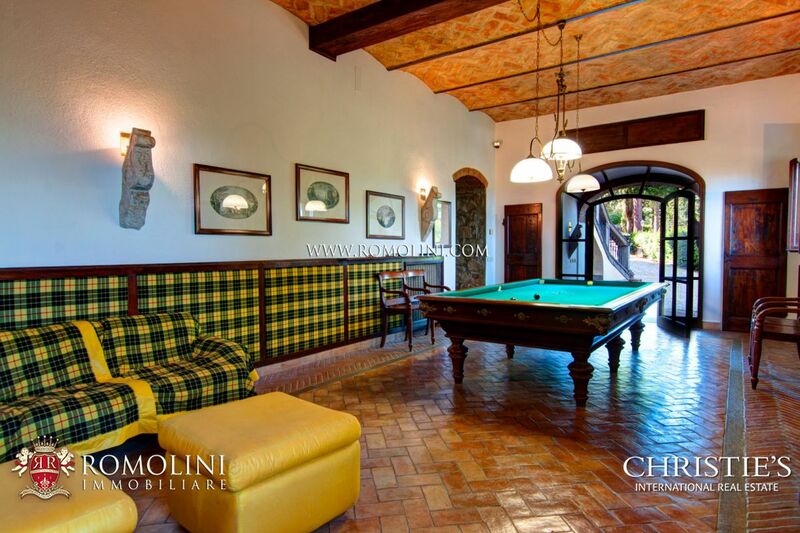 The villa, with its 9 bedrooms, has been masterfully restored by using prestigious and original materials. 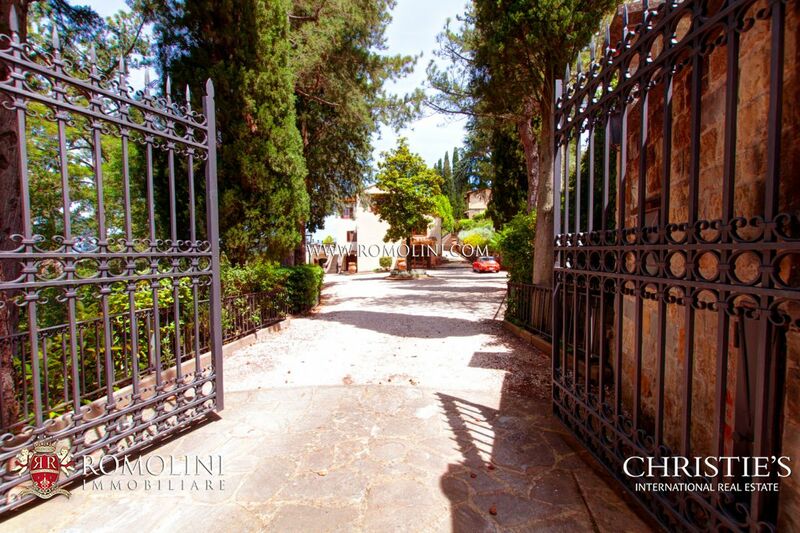 The property is completed by a 10,000-sqm plot of land with flowered garden. 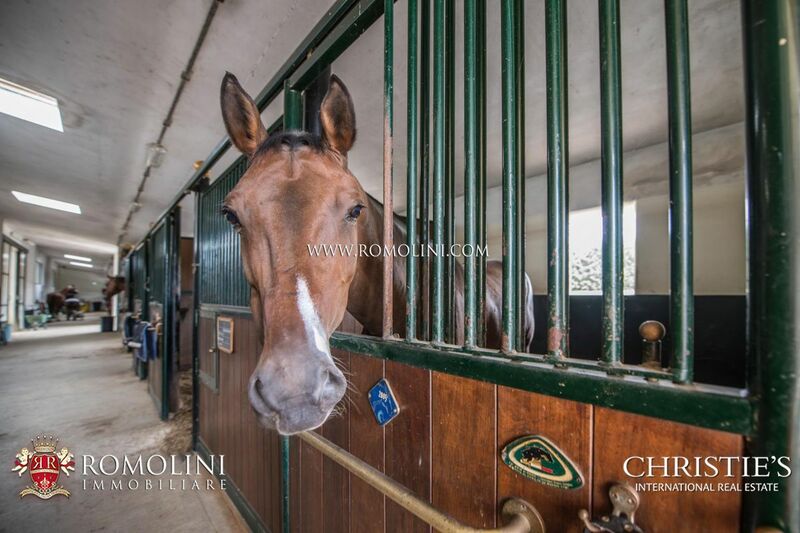 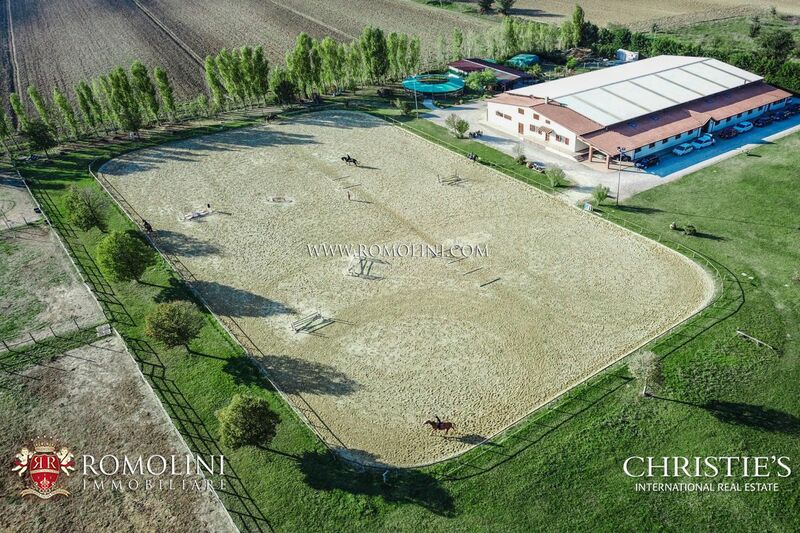 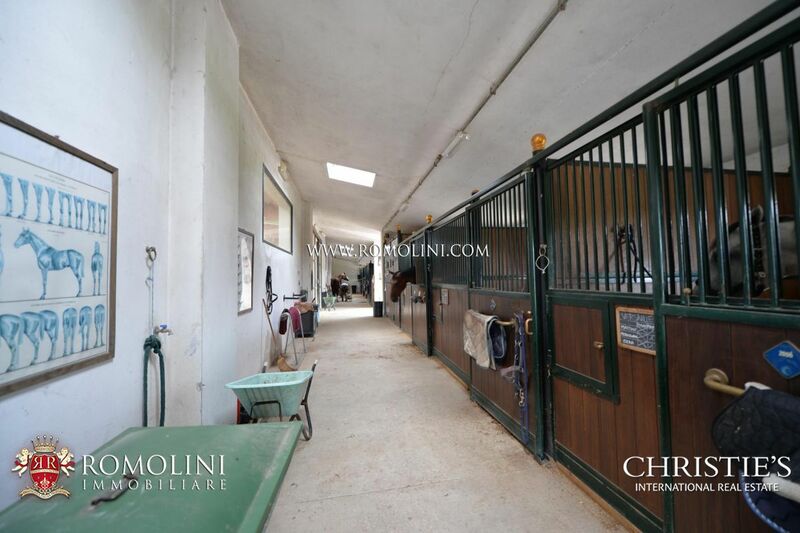 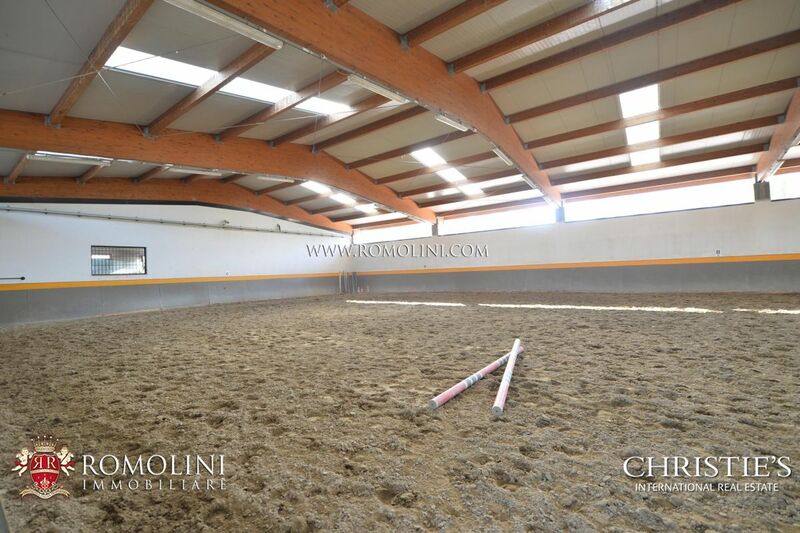 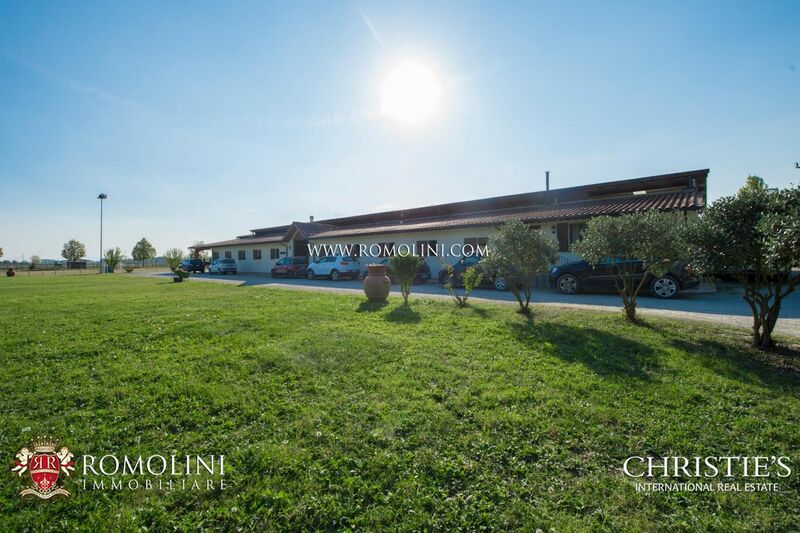 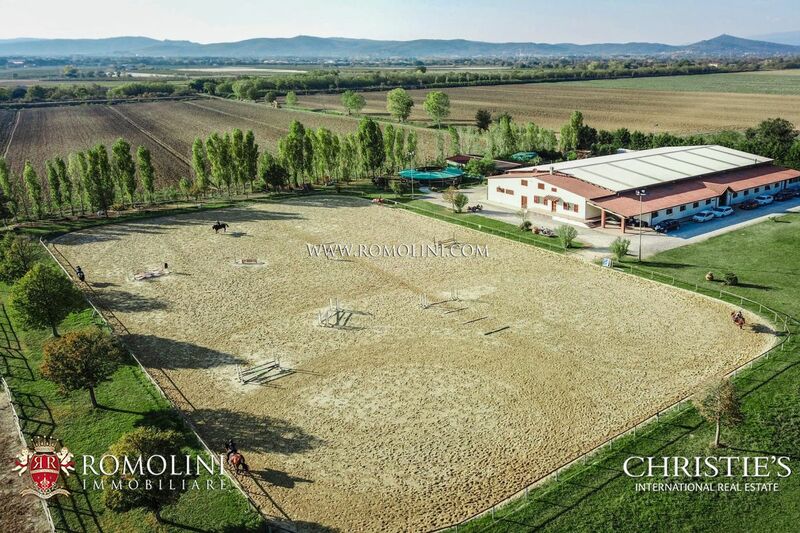 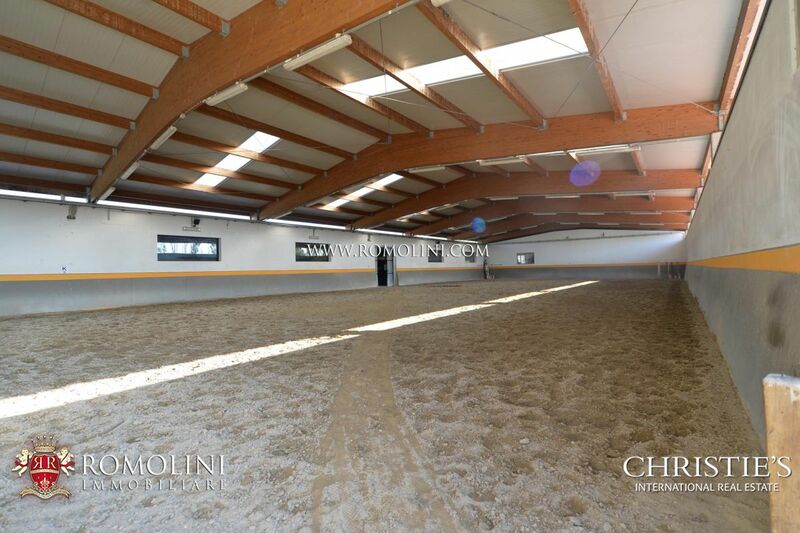 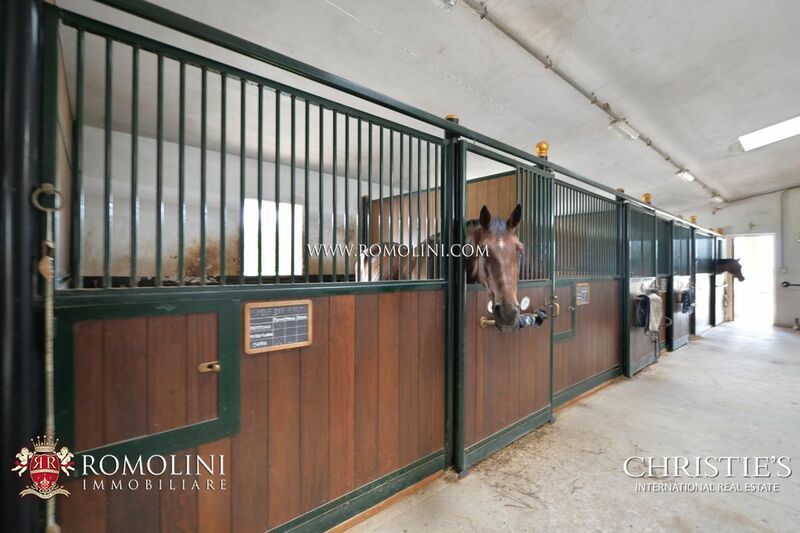 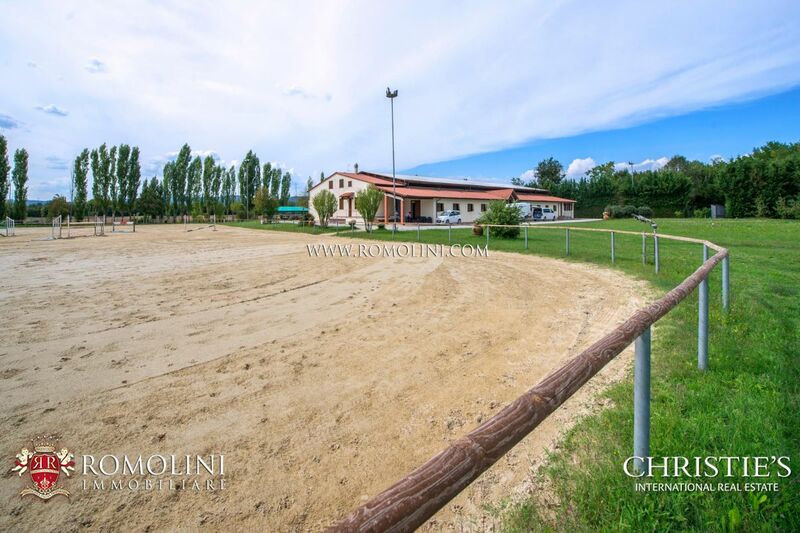 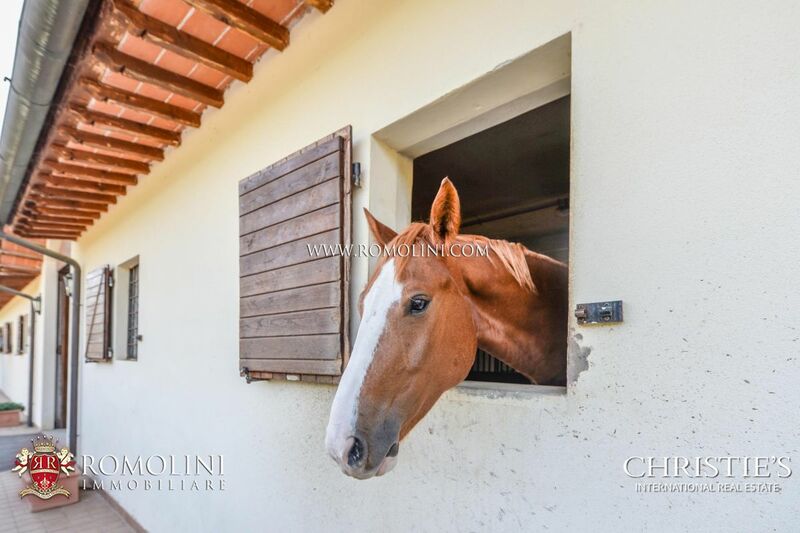 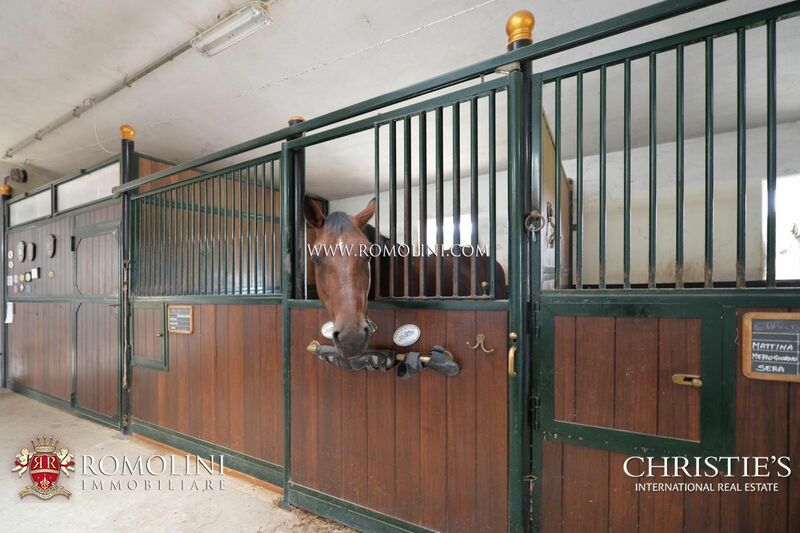 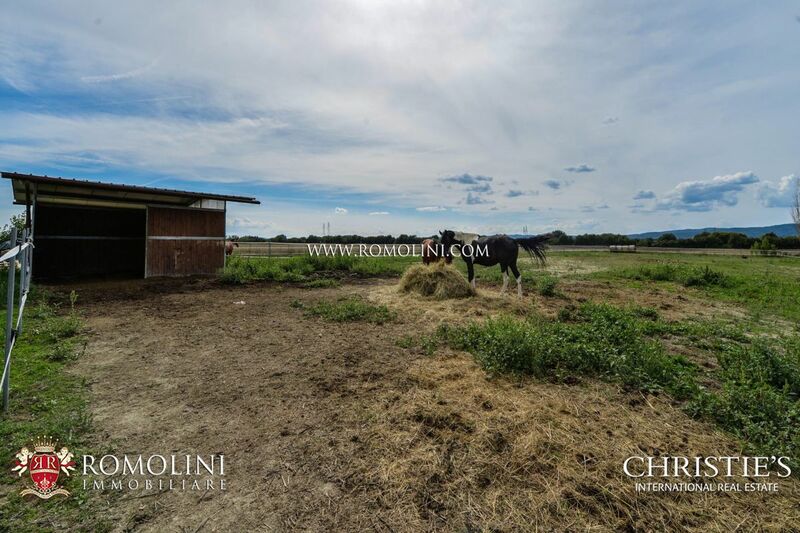 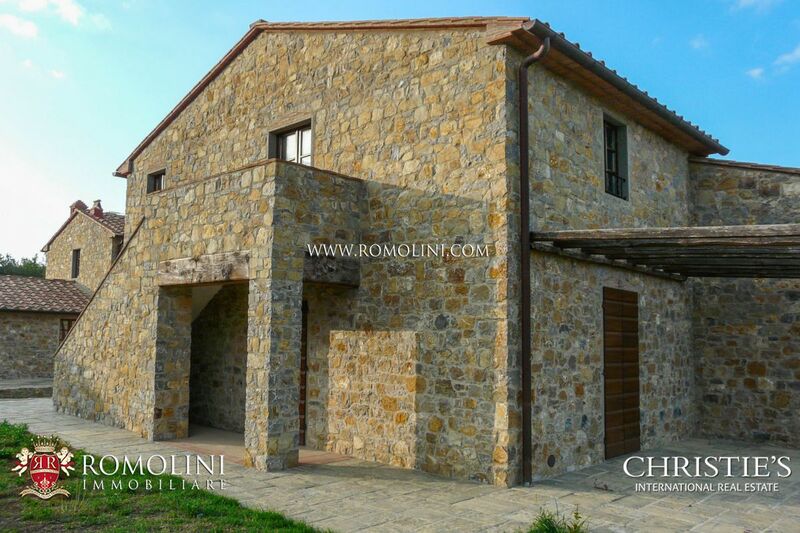 In the province of Arezzo, in the Tuscan countryside, this equestrian centre and estate offers two training court for horse enthusiast (one indoor and one outdoor), 21 stalls for the horses, 4 paddocks and an ample farmhouse (650 sqm) to be restored which could serve as a base for a hosting business. 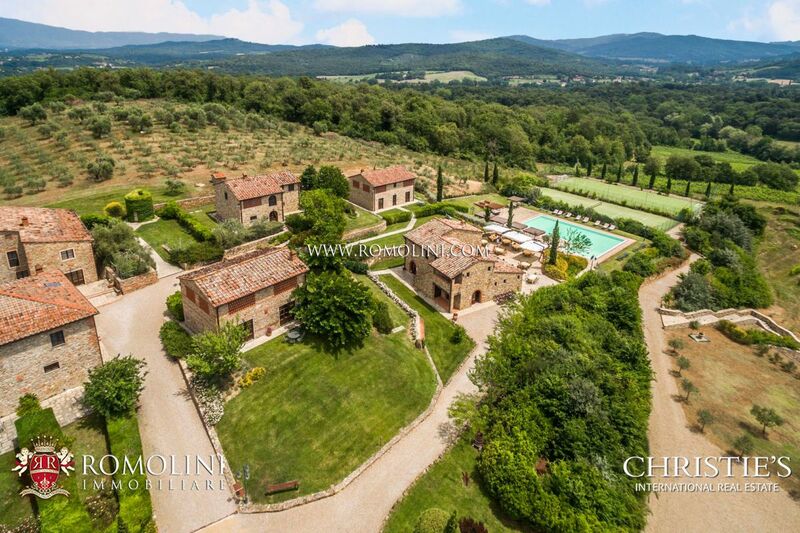 The property covers 4.2 hectares, but it is possible to buy further 40 ha of neighboring land. 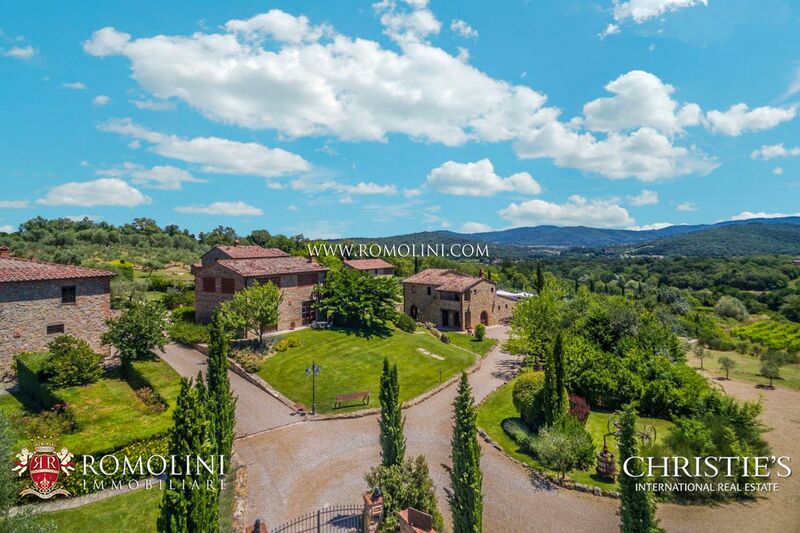 On the beautiful hills of the Tuscan countryside, between Arezzo, Siena and Florence, this 85 hectare estate is a real gem. 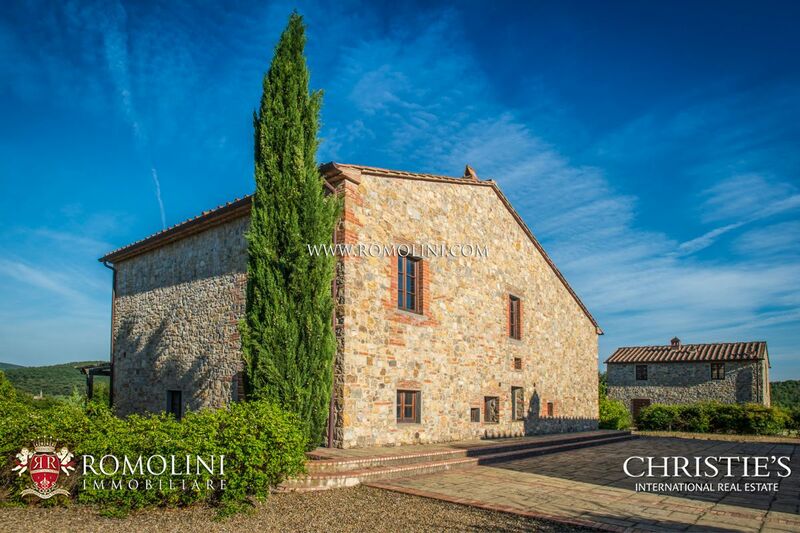 Three hamlets, made out of typical stone farmhouses, are the heart of the Agriturismo (80 bedrooms for a total of 6,310 sqm of surface) while the vineyard (12.5 ha) and the olive grove (6.5 ha) allow producing excellent wine and extra virgin olive oil. 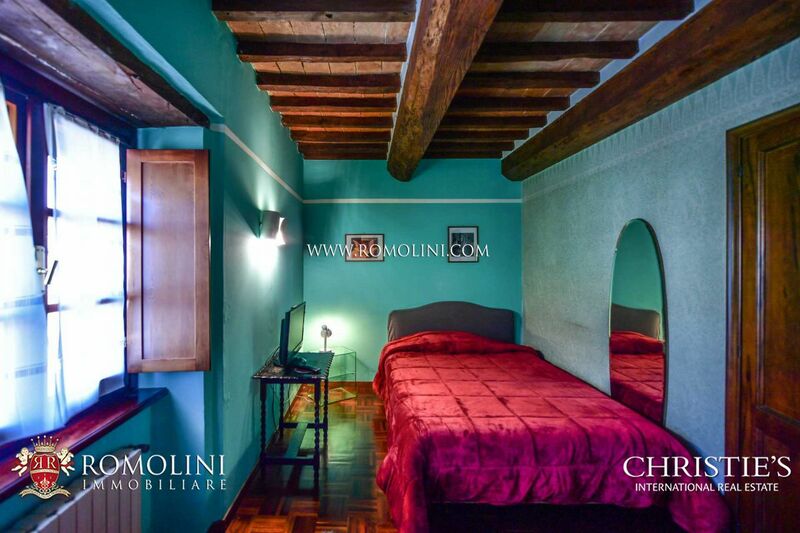 The hosting business runs on both bedrooms and apartments. 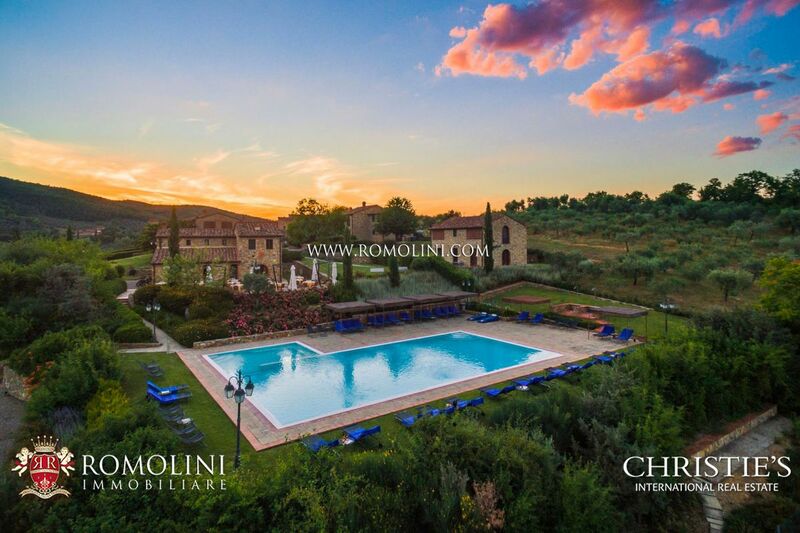 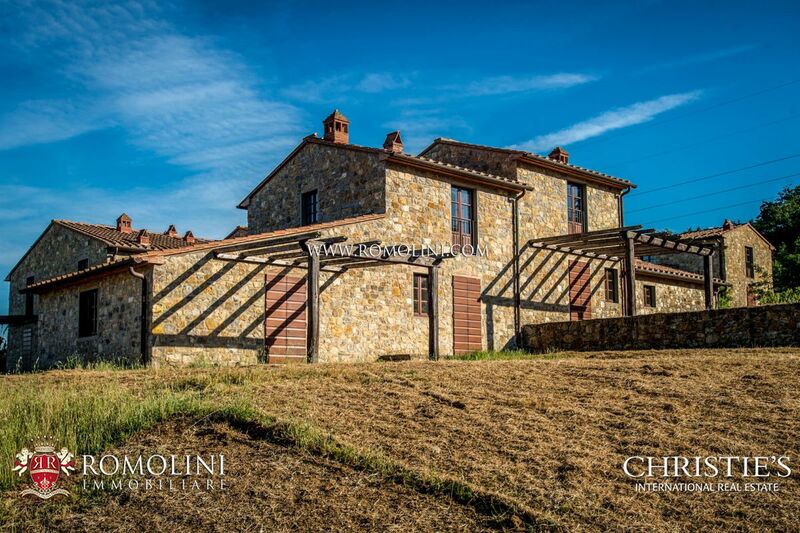 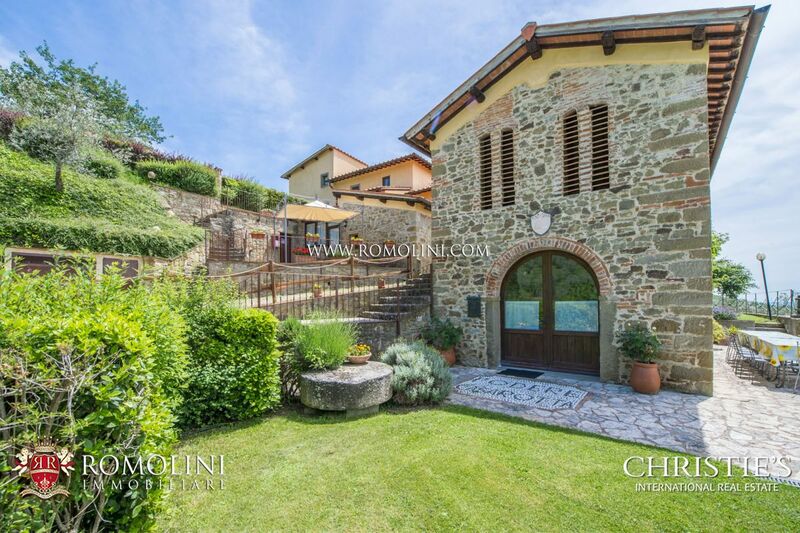 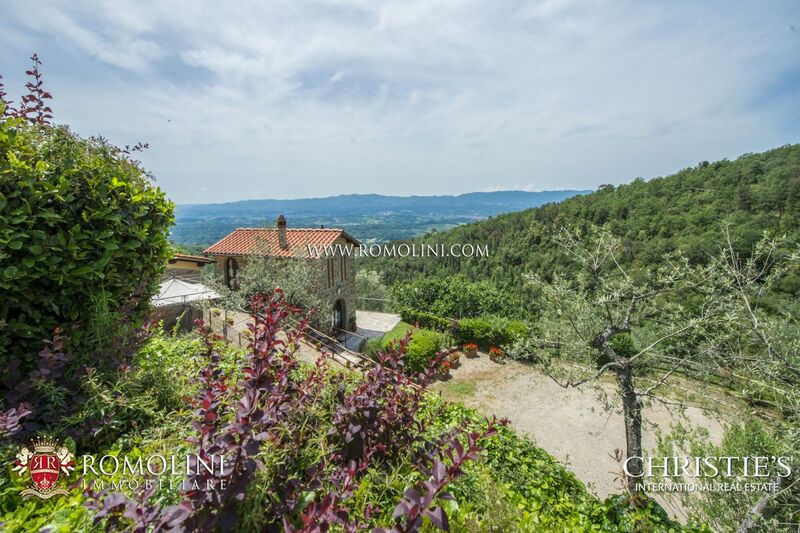 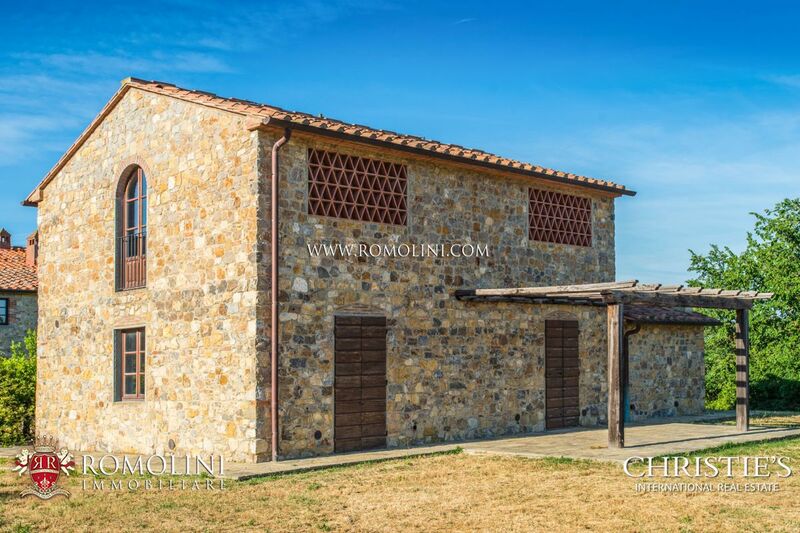 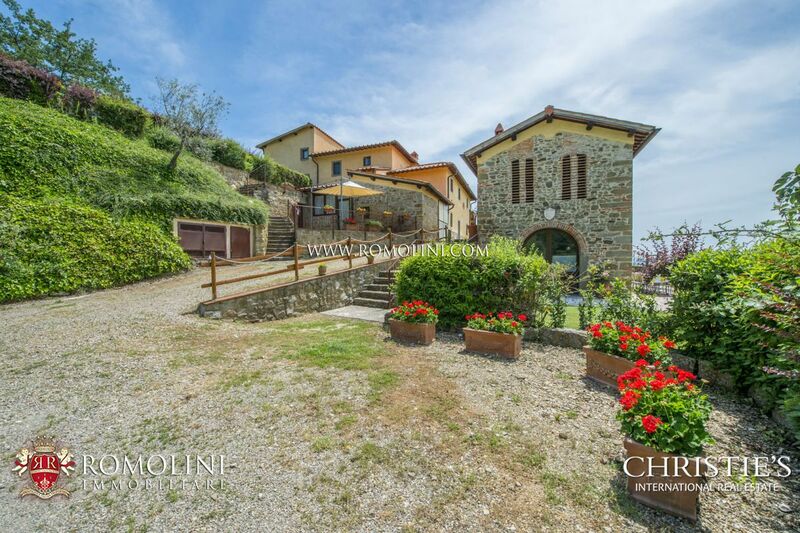 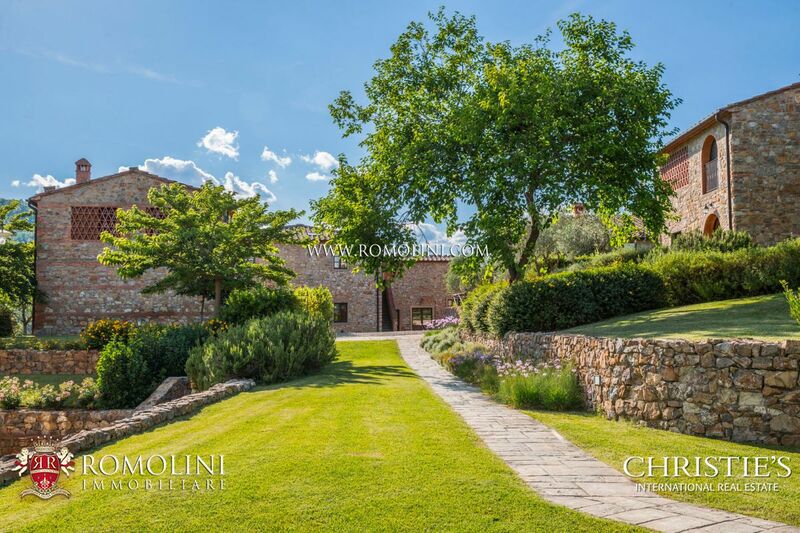 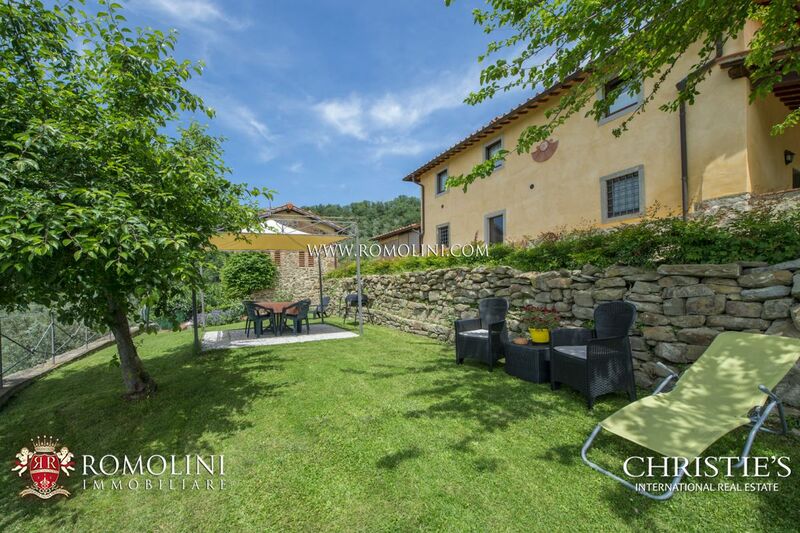 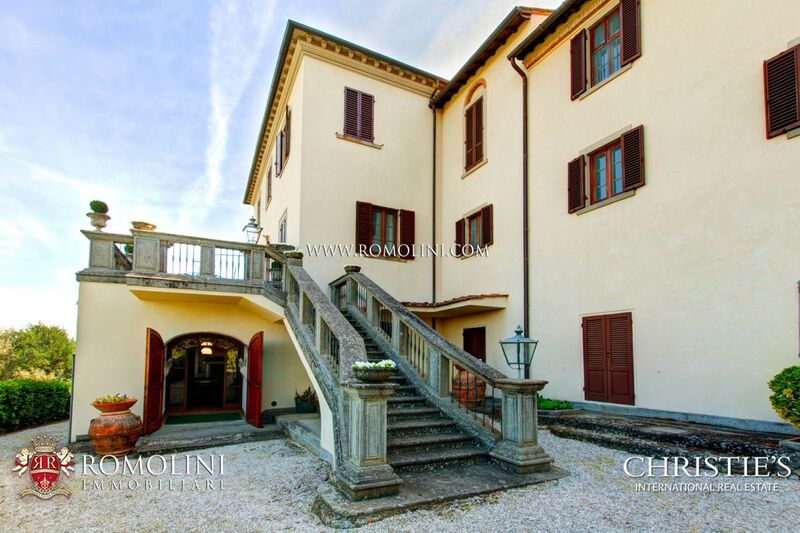 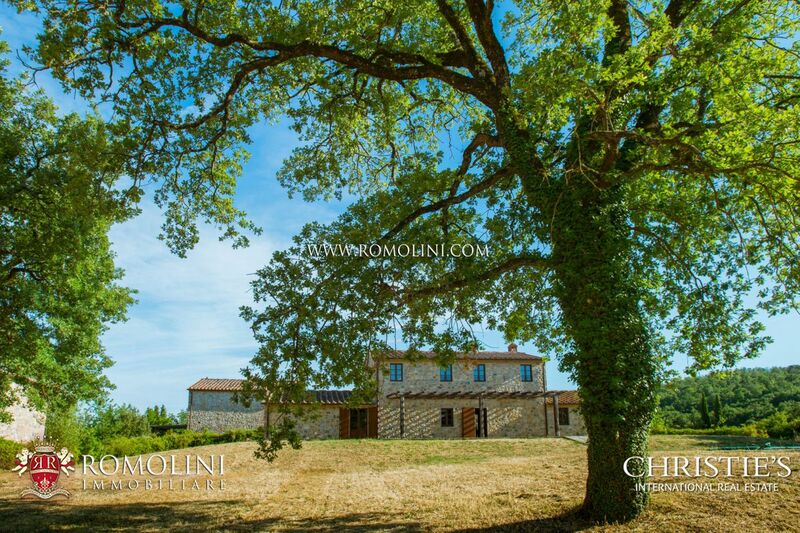 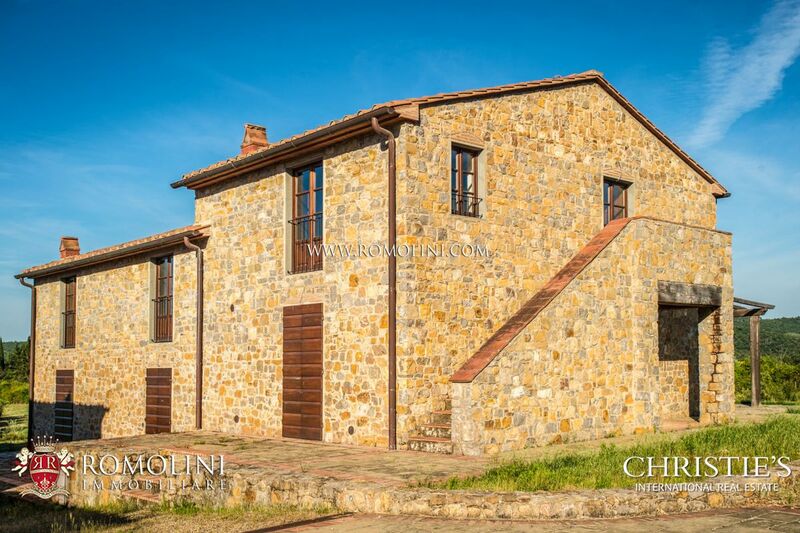 On the hills of Chianti Aretino, in the beautiful Tuscan countryside, this 80-ha estate offers a well established hosting business (3,505 sqm for a total of 33 bedrooms) and 12.5 ha of vineyard (half of which registered as Chianti) for wine production. 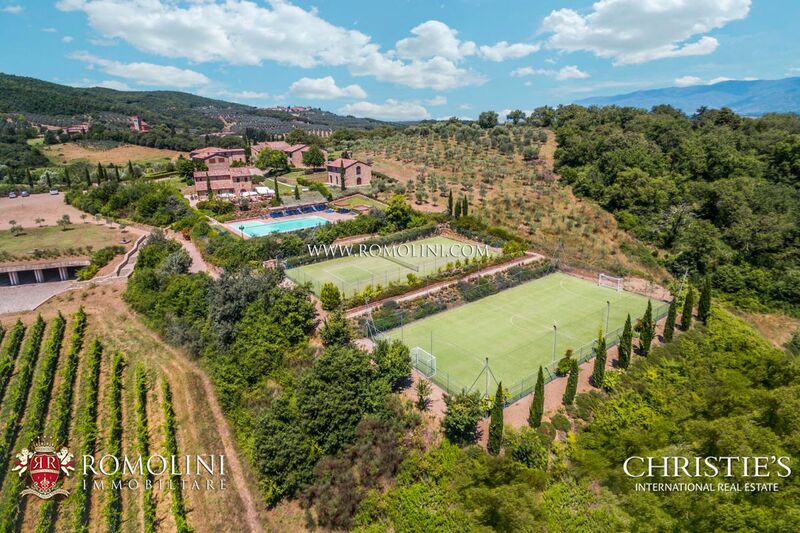 The Agriturismo is provided with all the comforts, among which a tennis court, a five-a-team soccer field, and the completion of the new building will allow opening a wellness centre and a high-capacity restaurant. 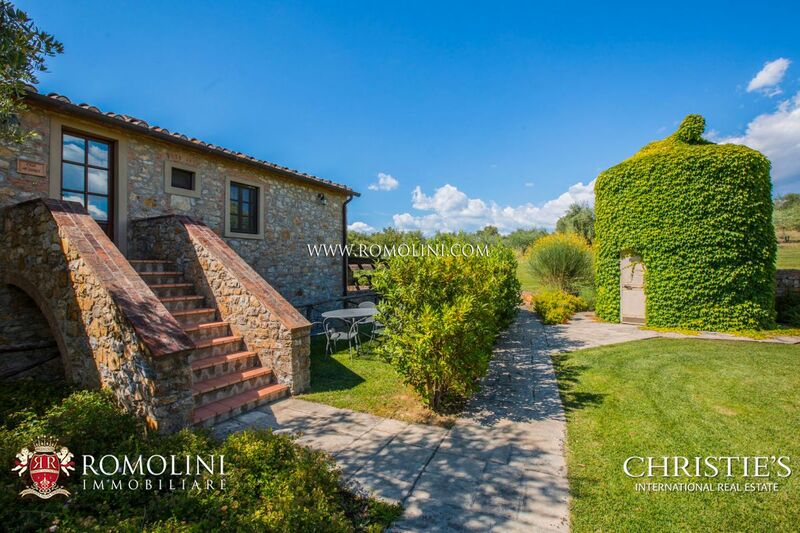 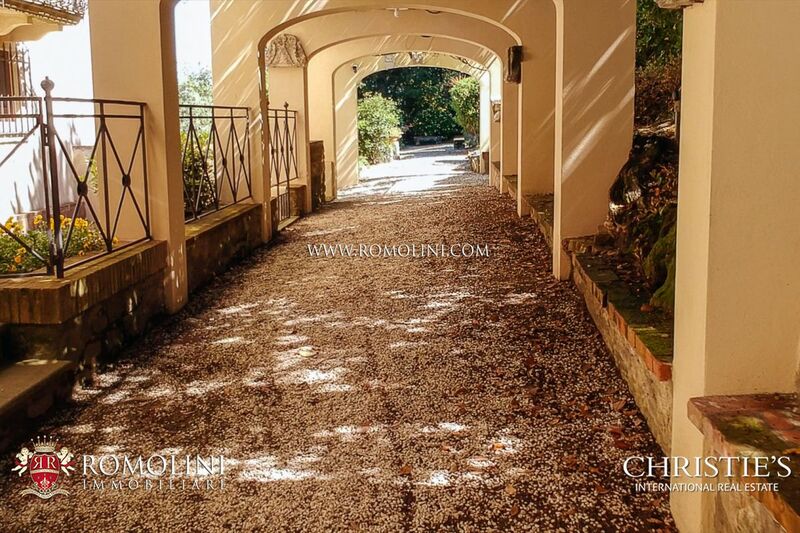 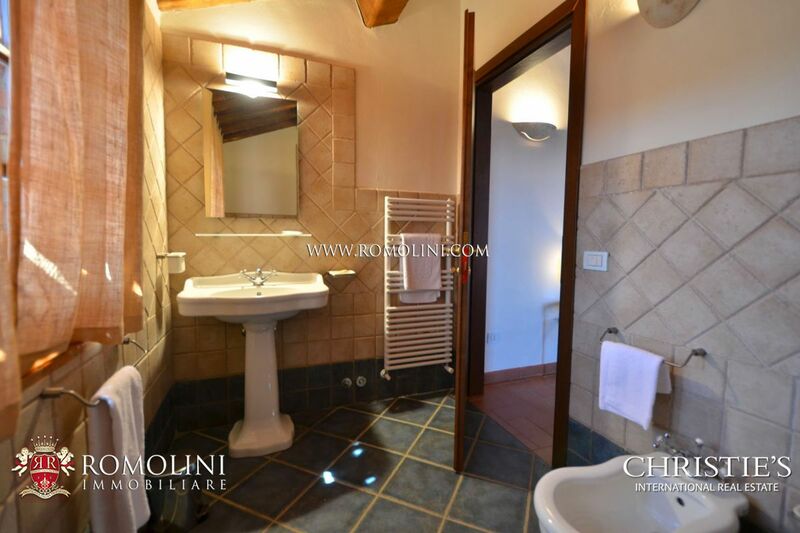 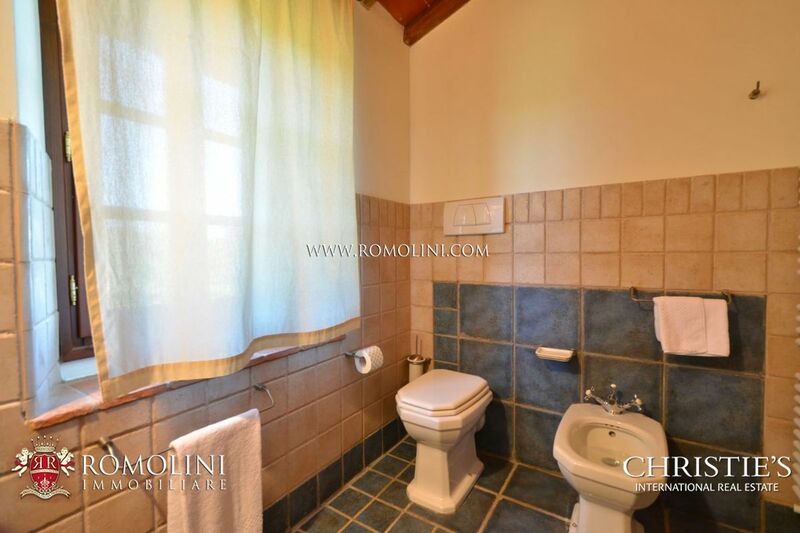 Not far from Arezzo, in panoramic position in the Tuscan countryside, this estate includes two hamlets which, once refined, could offer up to 47 bedrooms (villas and apartments) to be used in a hosting business (Agriturismo and/or B&B). 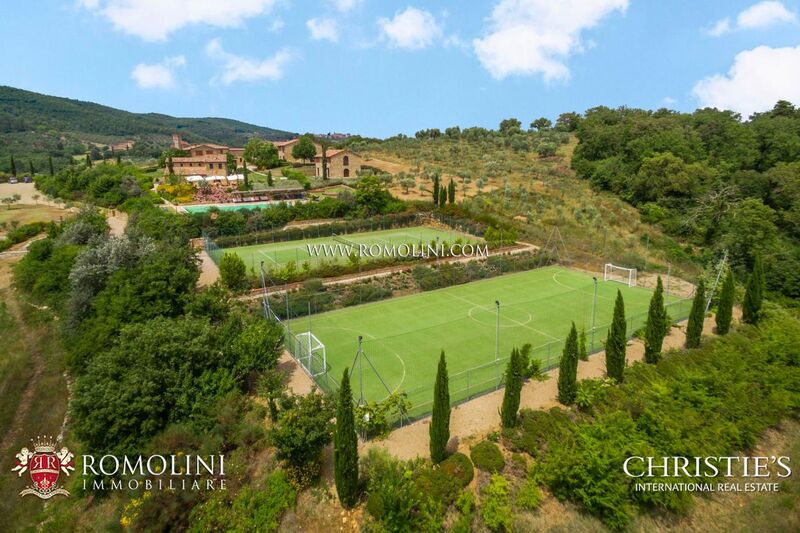 The property is then completed by 5 hectares of gardens and two pools servicing each of the hamlet.